“Peter Pan Live!,” which premiered Thursday, is part of a new wave of shows performed live. When NBC aired its live musical production of “Peter Pan” on Thursday, it hoped audiences would do something entirely old-fashioned. For three full hours, the network bet children will put down game consoles, parents will shut down Netflix and everyone will gather together in front of the family room TV to watch Allison Williams and Christopher Walken sing their way through a classic fairy tale — without skipping over the commercials. 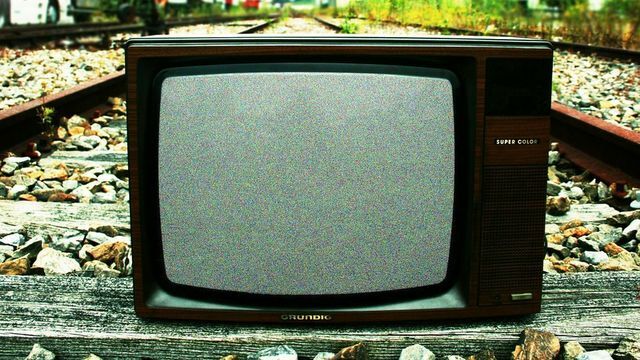 Television viewing is on the decline, down 4 percent in the third quarter compared with last year, according to a new report by Nielsen. Several new TV shows on the big networks were canceled after their fall debuts, including “Selfie,” “Bad Judge” and “Manhattan Love Story.” Streaming-video audiences are growing rapidly, with Netflix, YouTube and Amazon stealing viewers with original shows of their own. And so NBC, CBS, ABC and Fox are returning to their roots from the dawn of television, when live events featuring singing and dancing drew millions of American viewers. CBS will air “The Kennedy Center Honors” and “A Home for The Holidays,” a special with Grammy Award-winning singer Jennifer Hudson, this month. And these special performances come amid other live events that reliably draw big audiences: NFL games and live talent competitions. The move toward live TV comes as consumer spend less time flipping through channels and more time watching their favorite shows on demand — either on cable or the Internet. Even worse for the networks, people are routinely skipping through ads. In many ways, they are fighting against the future. In the third quarter of 2014, TV viewing was down 4 percent, to 4 hours, 32 minutes a day, according to Nielsen. Meanwhile, viewing of streaming video increased 62 percent to an average of 10 hours, 42 minutes a month in the quarter, and the time consumers spent on smartphones increased 23 percent to 1 hour, 33 minutes compared to the same period last year. And advertisers are beginning to shift their behavior, too, by spending more money online. During the TV industry’s pitch to advertisers for their fall shows, known as “upfronts,” sales to TV networks were flat and down 6 percent for cable networks, according to the Cabletelevision Advertising Bureau. To defend themselves, broadcast networks have doubled down on programs that are most enjoyed live. And nowhere is that felt more than in sports. Last year, 34 of the top 35 shows on broadcast and cable were NFL games. NBC paid $7.7 billion this year for the exclusive rights to broadcast the Olympics through 2032. In October, the NBA struck a nine-year broadcast deal worth $24 billion with Turner and ESPN. The networks are also searching for new ways to attract large audiences with daredevil stunts, comedy acts and even more award shows. The new trend of live theatrical performances has resonated with millions of viewers as they bring the feeling of a Broadway production to TV. NBC’s 2013 live performance of “The Sound of Music” was panned by critics but brought in 22 million viewers. NBC put the same creators of “Sound of Music” on the production of “Peter Pan Live!,” a glitzier and more expensive show performed from the Grumman Studios in Bethpage, New York. Peter was played by Williams, from HBO’s “Girls” and Captain Hook by Oscar winner Christopher Walken. “In the hopes that lightning strikes twice, we think we’ve landed on another great Broadway musical … that is a timeless classic for all audiences, young and old, who just never want to grow up,” NBC Entertainment president Richard Greenblatt said when announcing the production. Fox has followed with plans for a live performance of “Grease” next year. NBC will also air the musical “Music Man” next year. NBC’s focus has helped improved ratings after a decade of last-place shows. And it is in many ways going back to its early days. In 1955, it televised “Peter Pan” starring Tony Award winners Mary Martin, who played Peter, and Cyril Ritchard as Captain Hook. The production was so popular that NBC followed it in 1956 with a second live telecast. ← Is The Future Of Television Social?